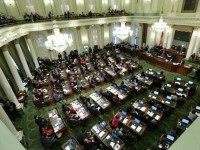 California lawmakers will begin their new legislative session Monday with Democrats holding a three-fourths majority in the State Assembly, and one vote less than three-fourths in the State Senate — the biggest Democratic majority since 1883, the Associated Press notes. 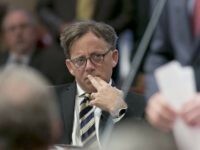 Voters in California’s 29th State Senate district will decide the fate of freshman Sen. Josh Newman (D-Fullerton) on Tuesday, when he faces a recall over his 2017 vote to increase gas taxes by 12 cents per gallon, along with other fees. 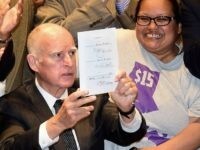 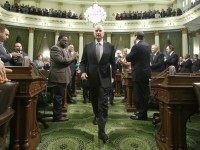 Can Jerry Brown Rally Dems in Legislature For $54 Billion In New Taxes? 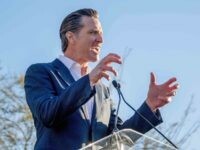 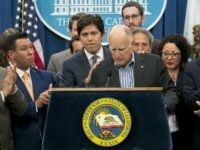 Governor Brown is on the eve of a self-appointed April 6 deadline to push what he has titled the Road Repair and Accountability Act of 2017, which seeks to impose new gasoline taxes and car registration fees to bring in an estimated $52.4 billion in increased tax revenues over the next decade alone. 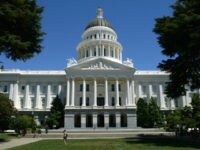 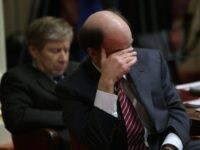 The Republican Caucus in the California State Senate may soon be leaderless, if no one steps up to take the job. 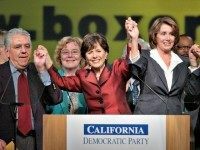 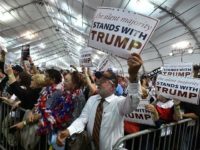 California Democrats eager to restore the slim supermajority they lost in 2014 are concerned for their prospects for 2016.